I've been a bit slack lately with the blog, but not without reason. My midwifery classes started up again at the beginning of August and I was busy planning my littlest bear's 3rd birthday party. This year the party planning and actual party were a lot more relaxed and stress free compared to pervious years. I think after four years of kids birthday parties, I'm starting to get the hang of it. So, I thought I would write up the most useful tips I've discovered and hopefully they will help you for your next party. 1. Have a theme or colour scheme. It doesn't need to be elaborate, but it will tie the party together. 2. Have one craft and one or two games. Crafts are great at parties because children love being able to take what they made home. Some crafts I've done in the past are: cupcake decorating, fairy wand making, goodie bag decorating, necklace making, sugar cookie decorating, superhero mask decorating, etc. 3. 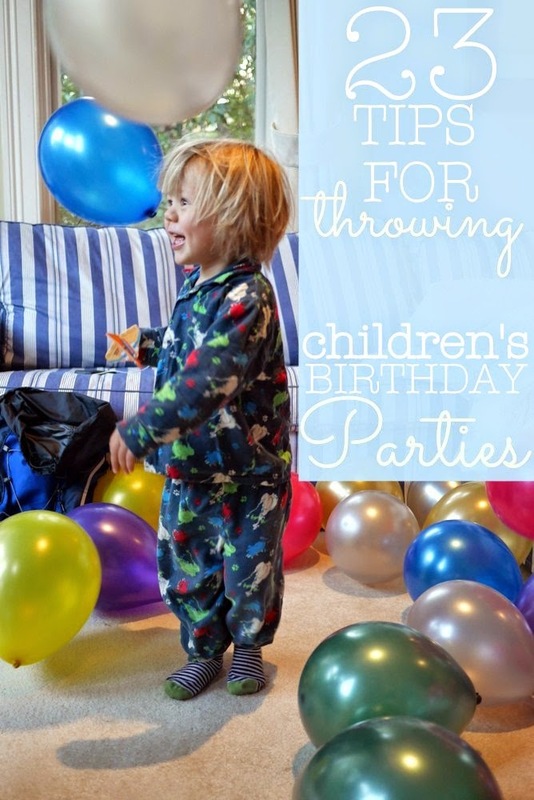 Take a few photos of the birthday girl or boy on their own before the party begins. 5. Take a posed group photo of all the children party attendees. 6. Don't try to cater to everyone. If it's a children's party, then focus on what to serve children. I find adults are happy to eat children's party food, but it's also good to have a cheese platter out for the adults to nibble on, but no need to go beyond that! 7. Keep food simple and just focus on a few really standout foods. Mini portions are better as kids tend to take one bite and then leave the rest. To avoid food waste, make mini foods like: mini donuts, mini cookies, mini jellies, etc. 8. Make the cake memorable (this doesn’t mean you have to have mad cake decorating skills, but use what skills you have and be creative. (There is always the good old Women’s Weekly birthday cake book for inspiration). 9. Make individual packed lunches. This way if a child doesn’t finish everything, they can take the rest home and you’re not left with a platter of stale Vegemite sandwiches! 10. Don't put out any sweets until lunch has been served. It took me a while to figure this one out, but if there are sweets out with lunch, the lunch food won’t get touched. 11. It is okay not to provide a meal (though I am a fan of giving kids meals if the party takes place over a meal time). 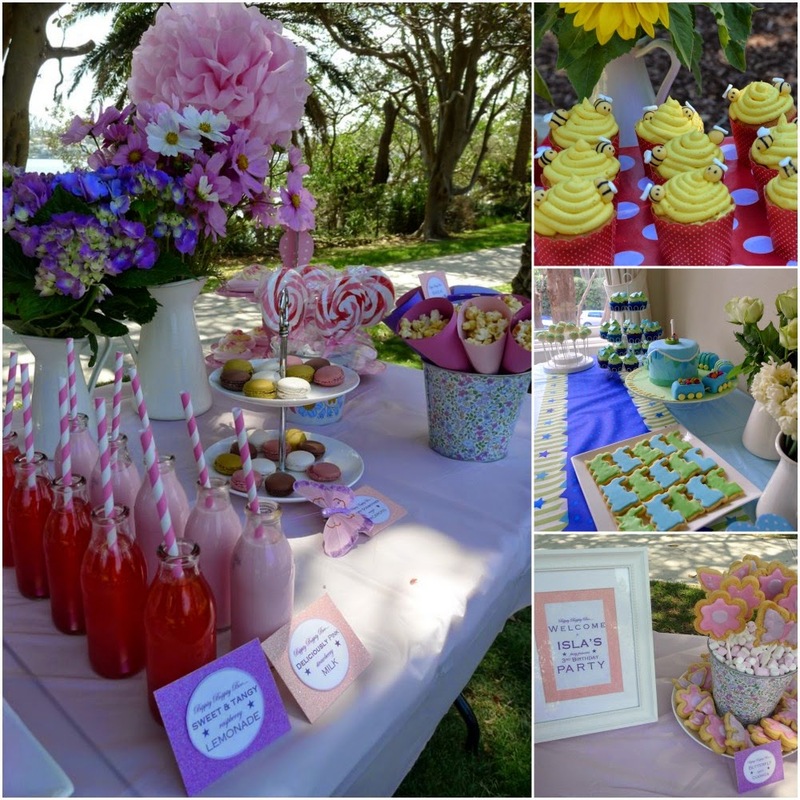 Morning tea or afternoon tea parties are perfect for little kiddies that still have naps, just make sure to specify in the invite, what type of food will be provided e.g. morning tea, lunch or afternoon tea. 12. Spend a bit of time on the invite to make the invitees feel special. This doesn’t mean you have to spend a fortune or be an artist, but be creative (e.g. use felt or fake fur on the invite if an animal theme party or use a bit of tulle or beads on the invite if a ballerina or princess party). 13. Set yourself a budget. 14. Be flexible. Don’t get too caught up with things having to be a certain way. Remember to be creative and you’ll work something else out, if plan A and even plan B don’t pan out. 15. Don't be afraid to just have a simple laid back small party. If life is just getting too hectic and you don’t have time to plan a big elaborate affair, it’s okay to just cut up some fruit and veggie, make some cupcakes, get some balloons and call it a day. It’s about celebrating another year and you don’t need a big party to do that. 16. Make the invitees something special. 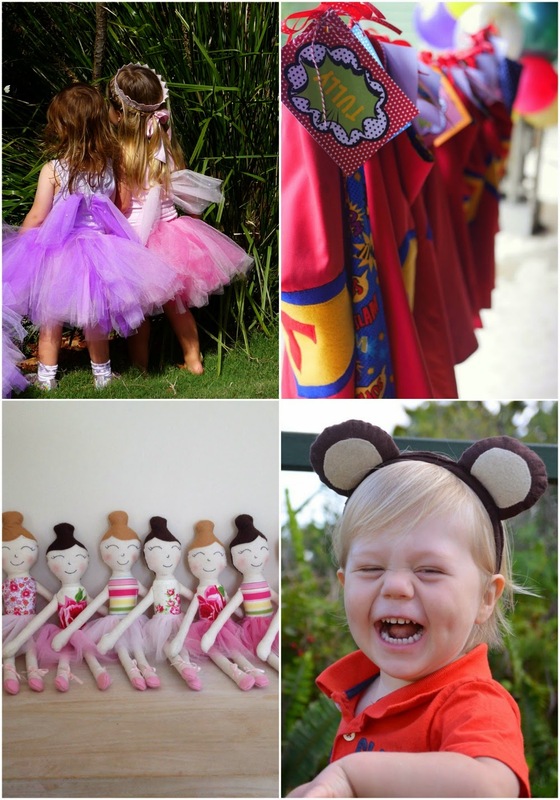 Kids love to play make believe and dress up, so I try to come up with something I can easily sew each year that can be worn or played with by each child at the party, like fairy dresses, teddy bear ears, ballerina dolls, superhero capes, etc. Some may consider this a bit over the top but I enjoy doing it and I especially enjoy how happy it makes the kids. 17. Party bags!!! I don’t do elaborate party bags because the kids usually get something I’ve made already plus any take home craft things, so I go light on the party bag loot, but I still always give a party bag because I remember looking forward sooooo much to getting them at the end of parties. This year I made chocolate and caramel covered giant marshmallows (recipe to follow soon) and a giant chocolate chip cookie for the party bags and that was it! It doesn’t need to be excessive. 18. Have a wet weather backup. 19. 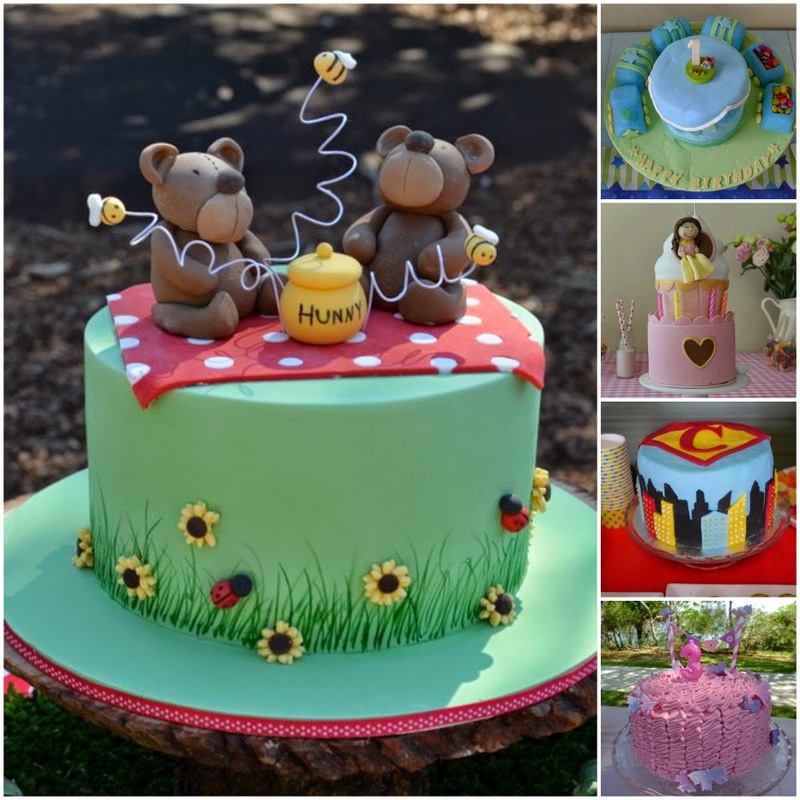 Check in with the birthday girl or boy when planning the party so that you get an idea of what they would most like to do or have at their party. 20. Ask a friend or family member to video when it’s time to sing ‘happy birthday’ and blow out the candles. 21. For little kiddies, save opening presents for after the party’s over. When little, it’s difficult to understand about only the birthday child getting presents so better avoid mass tears and open presents with family only. 22. Send thank you cards. There’s something really nice about getting an actual, physical card as a thank you. If cards really aren’t your thing though, at least send a thank you text or email for presents. Not only is it the polite thing to do but it also lets the person know that (1) you did in fact receive the gift (2) that you appreciated the gift. 23. Once the party starts, try to relax and enjoy it and spend some time with the birthday girl or boy. It’s almost near impossible to speak to or catch up with everyone at a kids birthday party, so be okay with just having quick chats and agree to organise more one on one time with friends another day.